Tokyo Deathlock was founded in 2001 by Junnosuke Tada. They performed the works of Tada until 2006, with Tada's own direction, of which motif was the inescapable fate of human beings, represented by death. Since then Tada has focused on direction and Tokyo Deathlock has performed a wide range of plays from classics to contemporaries, and from Japanese to Western ones, while also performing many pieces without conventional scripts. In 2007 Tokyo Deathlock became a company-within-company of Seinendan, a theatre company led by Oriza Hirata, and was also a resident company of Fujimi Culture Hall "KIRARI FUJIMI" in Fujimi City, Saitama, from 2008 to 2011. Tada was appointed as artistic director of Fujimi Culture Hall and became the youngest artistic director of a public theatre in Japan when his tenure started in April 2010. In 2009 Tokyo Deathlock stopped their activities in Tokyo and started to tour in various regions, both in Japan and overseas, with Fujimi City as their new base. Since 2011 they have further expanded the range of activities, with a manifesto "Based on communities, based in Japan". They have worked on various projects to promote local art and culture, co-working with local theatres and theatre companies. Their activities include outreach programmes such as theatre workshops in various regions and joint productions with local artists. After 30 productions, performed in 16 cities and regions both in Japan and overseas (except Tokyo) in 4 years, Tokyo Deathlock resumed their performance in Tokyo in January 2013. The adaptations of classic plays by Tokyo Deathlock are an attempt to bridge between contemporary and classic theatres through dynamic directions, such as use of Japanese pop songs (J-pops) in classic plays, reconstruction of Romeo and Juliet using statues game and Macbeth with musical chairs. In many cases those attempts are accompanied by physical load on the performers, such as through exhaustion to the limits and blindfolds on the stage. After the Great East Japan Earthquake in 2011, Tokyo Deathlock has started to incorporate the audience as components of the performance as "objects that watch" through such measures as communication between the audience, taking out the invisible barrier between performers and the audience. This is an endeavour to create an actual theatrical space that focuses on the people that live in the modern era. In May 2011, Tokyo Deathlock was invited for Festival TJCC at Le theatre de Gennevilliers, (Gennevilliers National Theatre Centre) in France. Since 2009 they have been collaborating with 12th Tongue Theatre Studio, a theatre company based in Seoul, Korea, led by Sung Ki-Woong. In 2013 they co-produced an adaptation of The Seagull by Anton Chekhov, with 12th Tongue Theatre Studio and Doosan Art Center. The adaptation, set in Korea under Japanese rule in 1930s, won the Award for the Best Play, Award for the Best Direction and Award for the Best Scenography/Technical Direction in Dong-A Theatre Awards, the most prestigious theatre awards in Korea. Tada became the first foreign director to win the Awards for Best Direction. Tokyo Deathlock, now based in Japan and East Asia, will continue to present the way we exist - from individuals to the whole world - through the actuality of theatre performances. 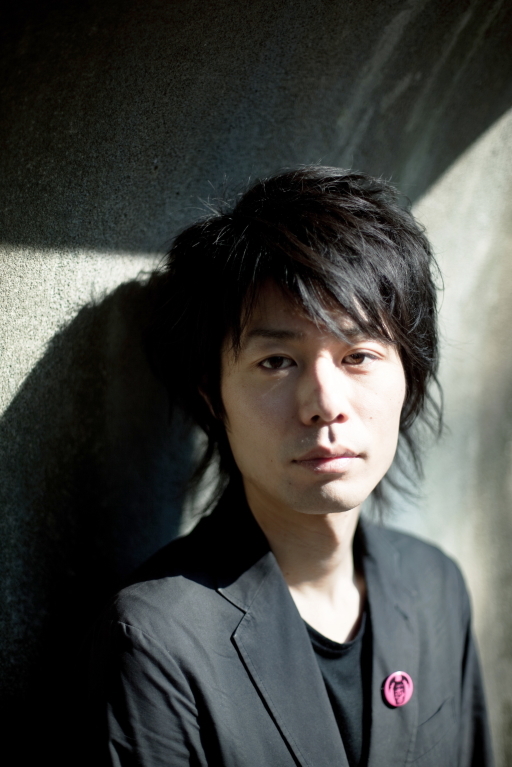 Directed works of Junnosuke Tada range from classic plays, contemporary plays to physical performances. Tada's direction is characterised by the way he focuses on the theatre space itself, including the performers, audience and the time, as one theatrical phenomenon. Publicly manifesting his "Love of Theatre", he is an advocate of the power of the theatre in facilitating dialogues and cooperation to the people who may not necessarily be familiar with theatre performances, through the creation of theatre works as artist-in-residence, in which local citizens participate, lectures on communication to the pupils of primary and secondary schools, lectures in the colleges and various workshops. Tada has been active both in Japan and in overseas, such as in France and Korea, involved in various performances and co-productions. He is also active as actor, performing for various theatre productions, films and TV dramas. Tada is also a member of Theatre Company Seinendan as a director, directing the plays written by Satsuki Miyamori for "Niki-no-Kai (A Regiment of Two Cavalrymen)", a company-within- company of Seinendan. Tada was appointed as the artistic director of Fujimi Culture Hall "KIRARI FUJIMI" in Fujimi City in April 2010 and became the youngest artistic director of a public theatre in Japan. In December 2013 Tada became the first foreign director to win the Awards for Best Direction in Dong-A Theatre Awards, the most prestigious theatre awards in Korea, for an adaptation of The Seagull by Anton Chekhov, a Korean-Japanese co-production. Tada was a junior fellow of Saison Culture Foundation from 2009 to 2010. He has been working for regional theatres in "Artist Dispatch Programme" of Japan Foundation for Regional Art-Activities since 2013. He is also a part-time lecturer of Shikoku Gakuin University. Copyright © 2014 Tokyo Deathlock All Rights Reserved.